Earlier this year, when I was working on DIY Succulents, I was searching for a local store/nursery where I could purchase healthy succulents at a good price. I wanted the book to have 35+ succulent projects, so I knew I would need a lot of plants! After a quick google search, I discovered Rancho Vista Nursery. Their website said that they sold wholesale to the public, so I thought I'd check it out. Upon arrival at Rancho Vista, I instantly fell in love! There's something very charming and inviting about the property which made me feel right at home. After parking at the top of the driveway, I noticed a little sign directing visitors to check in at the front office. As I peeked in, I was greeted by the smiling face of Karen Hana, co-owner of the nursery. She was very sweet and willing to share her knowledge and expertise with me. After a brief tour, she sent me on my way to explore the sales houses. I was completely overwhelmed... in a good way! Rancho Vista Nursery boasts six acres of greenhouses and four acres of outdoor landscape plants. So. Many. Succulents. I could honestly spend hours just walking through the greenhouses drooling. I mean shopping! If you visit Rancho Vista Nursery, you will probably run into the nursery manager, Johnnie Artiaga. Johnnie is super friendly, knowledgable, and always available to help or answer any questions. Rancho Vista Nursery in Vista, California. Quality cactus and succulents now sold wholesale to the trade and public! I've had the pleasure of spending a good amount of time photographing the nursery and chatting with Karen about the history and future of their business. You know me, whenever I fall in love with a business or product, I have to share it with you guys! Below you will find a brief interview with co-owner Karen Hana, and some photos of the gorgeous nursery. 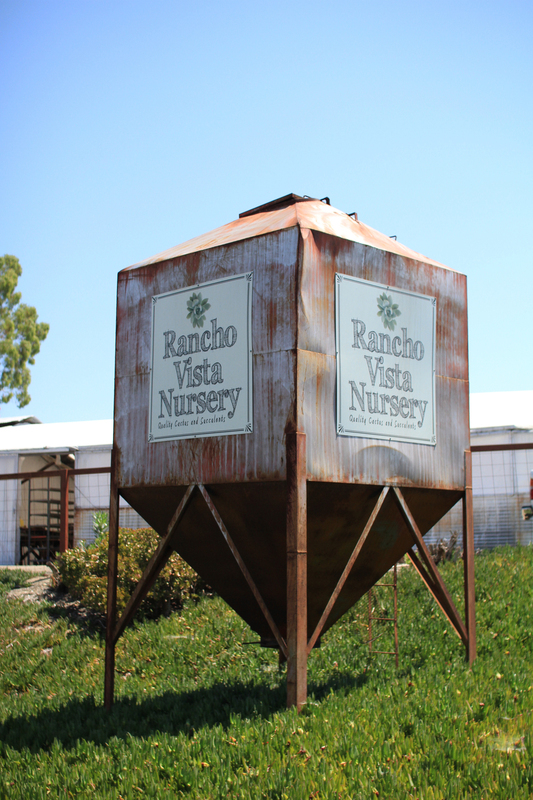 N+L: How long have you been running Rancho Vista Nursery? RVN: We took over the operations here in March 2013 at the beginning of the drought. Succulents have become very popular and are being used much more in landscapes since the need to conserve water started. N+L: What do you enjoy most about owning and operating the nursery? RVN: We love to be in the greenhouses working with the plants. 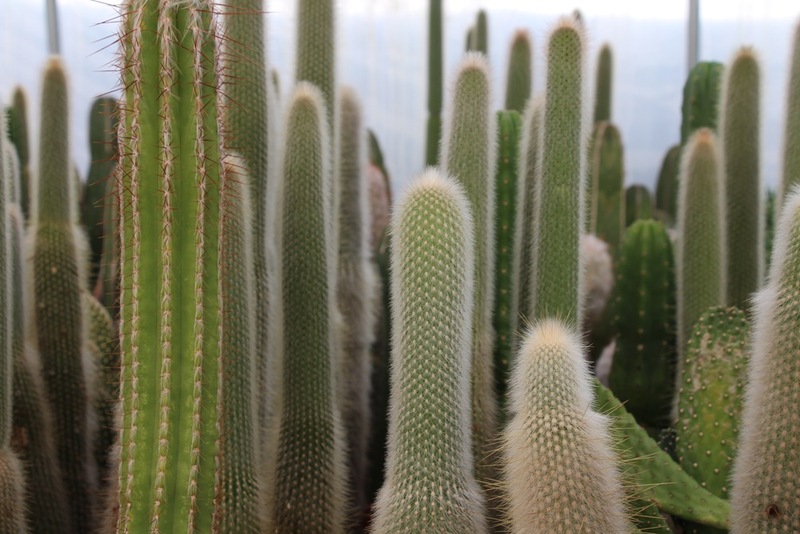 Most of the cactus are started from seed and most of the succulents are vegetatively propagated from cuttings so there is always a lot to do. And I love to weed! N+L: Can you give me a brief history of the nursery before you took it over? RVN: The property started as a chicken farm back in the mid 1900s. The original owner of Rancho Vista Nursery, Lou Servatka, was working in a local cactus nursery and dreamed of having his own business. In the early 1970's he was able to buy the property and then to purchase a large collection of cactus from a private collector. Those original chicken houses were turned into greenhouses and Lou started selling to the wholesale trade and collectors. He started growing succulents in the 1990s eventually growing hundreds of genera. 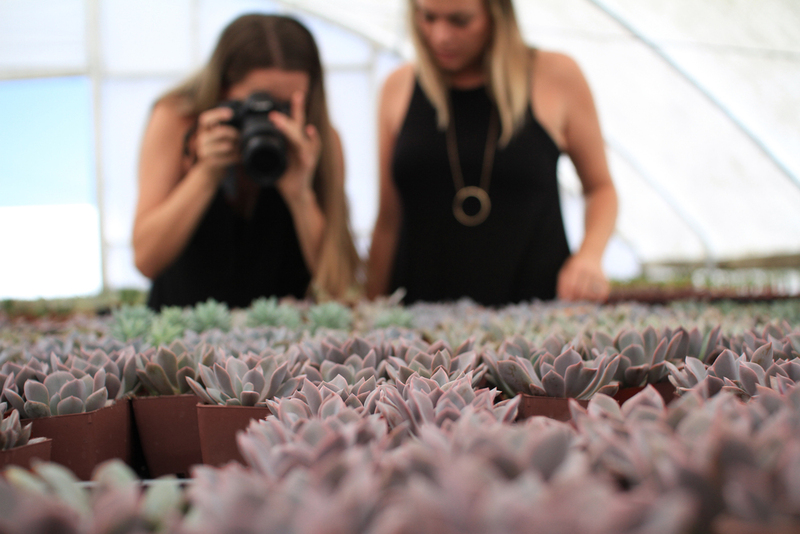 N+L: What made you and your sister decide to buy a succulent nursery? RVN: My sister Cindy and I were talking (and praying) about finding a business opportunity to work together. We saw an ad on a real estate site for a nursery for sale, decided to visit and fell in love. Anyone who has ever been in one of the greenhouses and seen the variety and the beauty knows what we experienced. Both of our families are in the produce/farming business and I have a degree in horticulture/landscape design so we thought it was a good fit and not too much of a stretch. N+L: What made you decide to start selling your plants to the public? RVN: We had neighbors stopping in asking us to sell them plants. We feel that we are making a contribution to water conservation efforts during the drought. We are still a big supplier to the nursery trade but due to so many requests we are now selling wholesale to the public. Visitors are welcome to come and browse our sales houses during regular business hours (Monday-Friday 7am to 3 pm --we're not yet open on weekends). We offer special pricing (cash only) and a huge variety of plants from small 2" to large landscape specimens. N+L: What is your hope for the future of the nursery? RVN: We have launched our webstore Succulent Central! We offer succulent cuttings, bare root plants, potted cactus and succulents in 2.5", 3" and 4" sizes and some supplies. Readers can see what we offer by visiting www.succulentcentral.com. We hope to expand our product line over the next year with everything needed for weddings and special events showcasing succulents. And we will expand our cactus offerings. We hope in the future to expand the retail part of our business and offer more drought tolerant plants, decorative pots, tools and supplies. And I have dreams of interplanting our cactus fields with native and drought tolerant plants as a botanical garden! A girl can dream, right? As you can see, Rancho Vista Nursery houses gorgeous high quality plants. I mentioned in DIY Succulents, that whenever possible it's best to buy succulents directly from the grower. This cuts out the middle man, and typically you will be purchasing healthier plants. 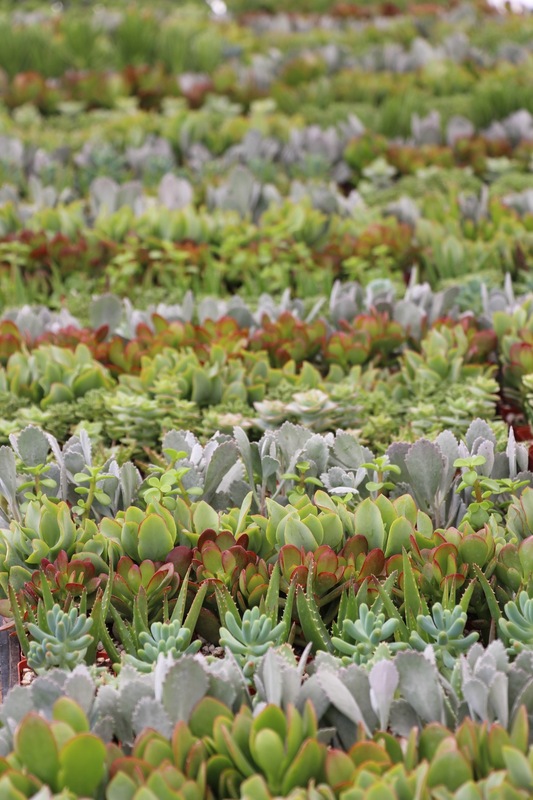 I hope you have enjoyed this little glimpse into the beauty that is Rancho Vista Nursery! If you live in or around San Diego you must pay them a visit. If you are not local, don't forget to check out their new online succulent shop, www.succulentcentral.com! If you have any questions you can find me on Instagram @needlesandleaves!